HAS DEPOSIT! 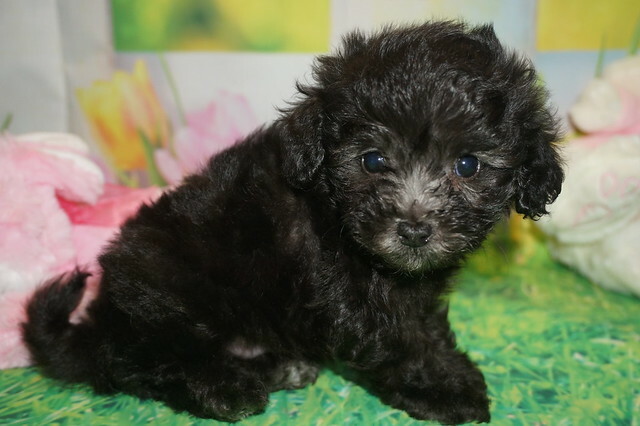 Scamp Gorgeous Black Male CKC Maltipoo Such A SWEETIE! Meet Scamp! He is a sweet boy that loves to play, but also enjoys getting in some good snuggle time. Be careful! He gets attached quickly and will be sure to melt your heart with lots of puppy kisses. He can’t wait for you to take him to the dog park to play. This little prince is one of a kind and won’t last long! 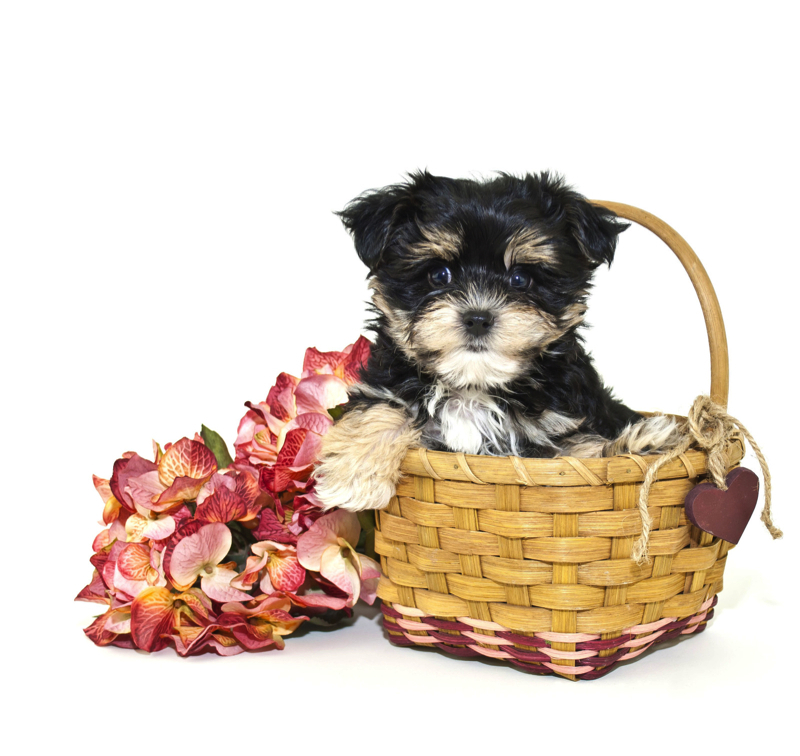 T Make Scamp part of your family today; you’ll be glad you did! My new name is Jackson and my new home is Fleming Island, FL. Hey I’m Scamp I’m one of two boys in my litter of four. My litter name theme is the Disney Movie Lady and the Tramp You can’t go wrong with me as I’m a gorgeous black color with my full tail. You will love my silky hair as it entices you to run your fingers through it. I’m truly perfect in every way. My mom is a first time mommy she is Darla a gorgeous 8 LB Maltipoo my daddy is Chili Pepper a 6.8 lb Poodle making me 75% poodle 25% Maltese so I will be a smart little guy. My adult weight is estimated to be 5-6 lbs Don’t take to long to decide I won’t last long! « HAS DEPOSIT! 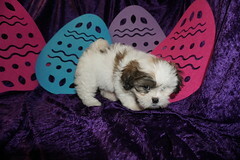 Angel Female CKC Maltipoo The Perfect Baby Girl!